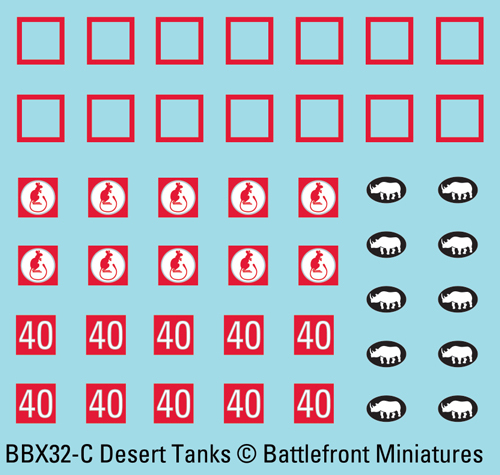 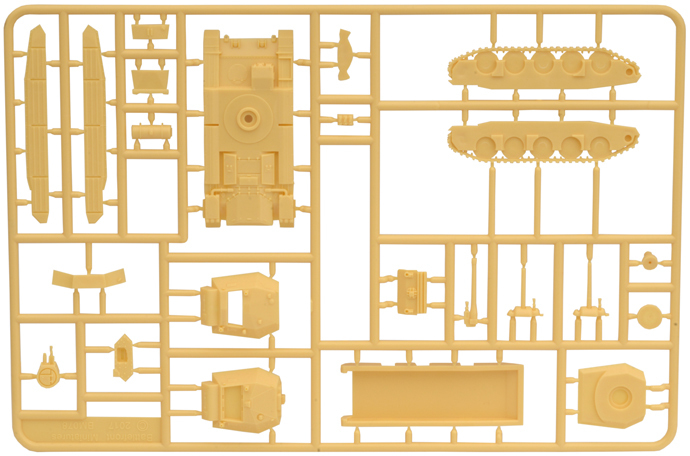 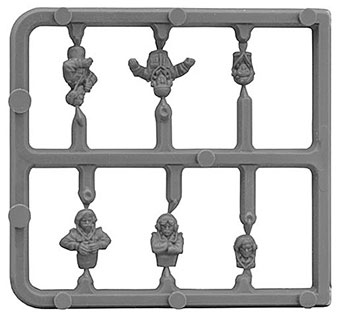 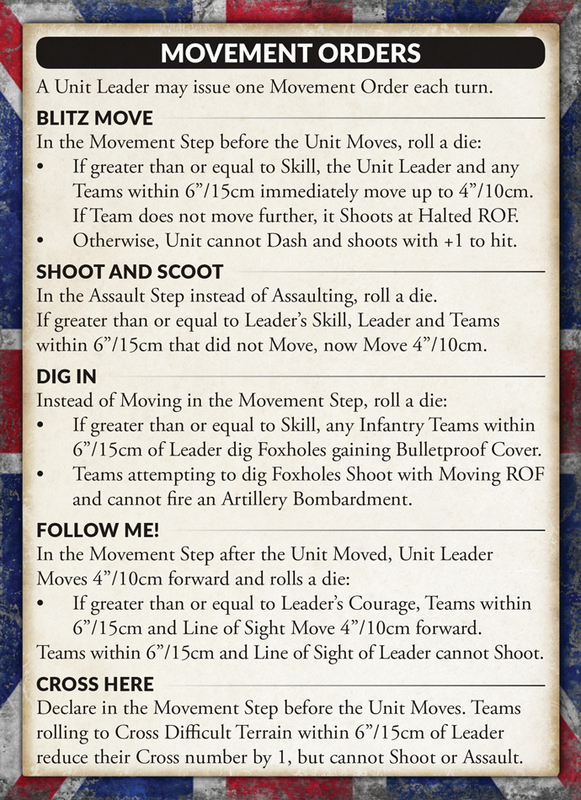 includes five plastic Crusader tanks, one plastic Tank Commander sprue, one Decal sheets and five Unit cards. 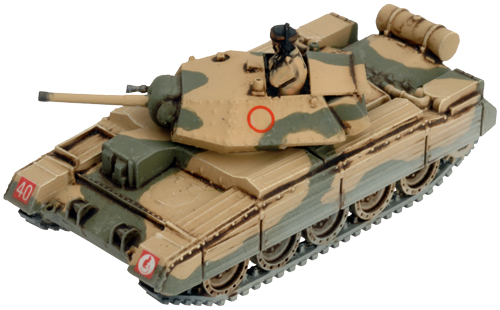 The Crusader entered service in November 1941, in time for Operation Crusader, the offensive in late 1941 that was named after the new tank. 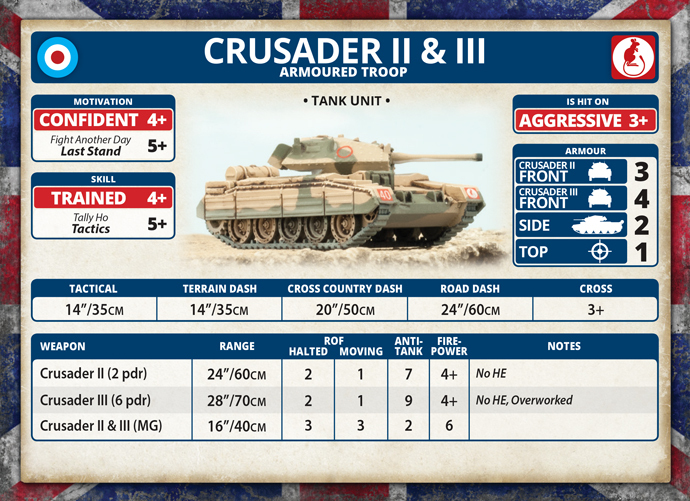 Although the Crusader is vulnerable to enemy fire and prone to certain mechanical difficulties, its speed and cross-country manoeuvrability are admired both by its own crews and their German and Italian foes. 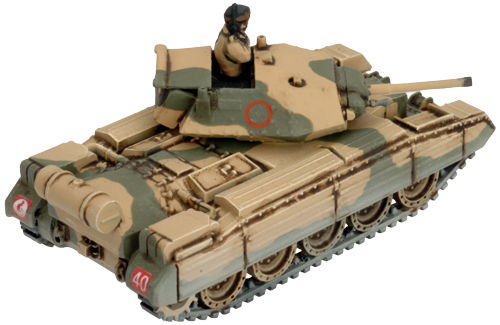 When the up-gunned Crusader III entered service just prior to the Second Battle of El Alamein, it was eagerly welcomed by the crews. 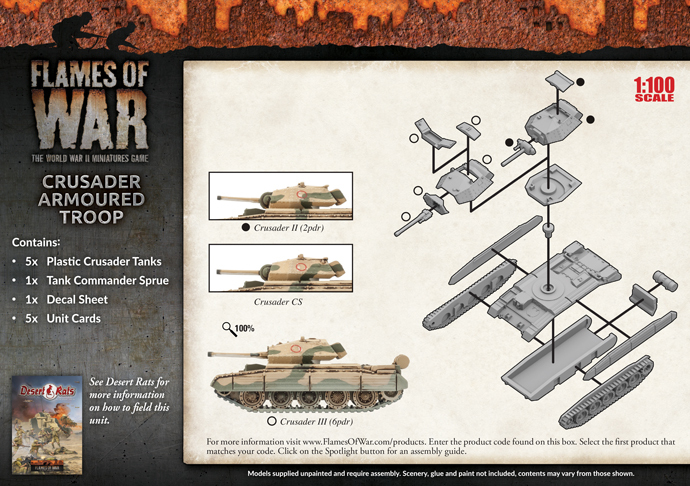 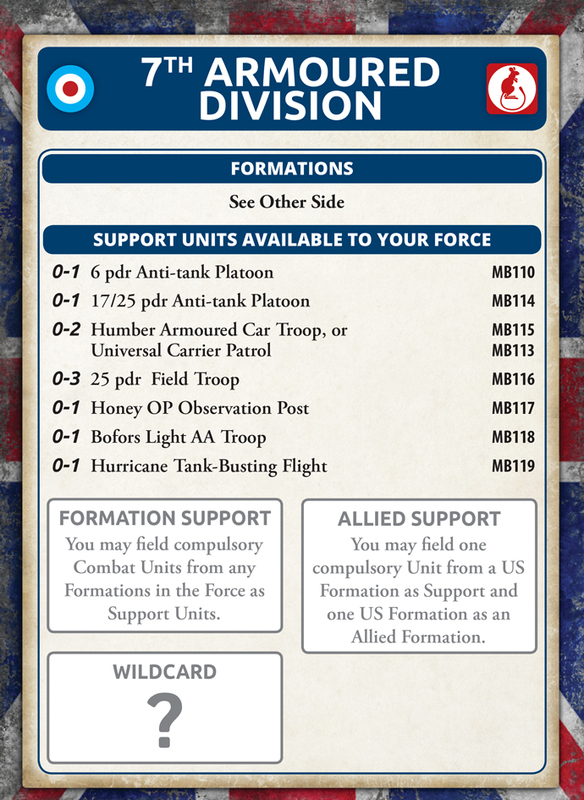 The new tanks are shared out among the squadrons, giving each troop much-needed extra firepower. 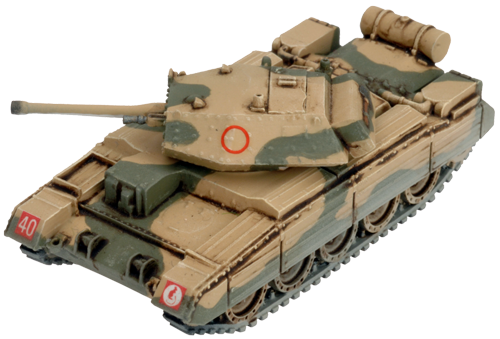 The British developed the concept of a cruiser tank to act as fast mechanised cavalry vehicles, in contrast to their infantry tanks, which were slow and heavily armoured, to operate closely with infantry, even under heavy fire. 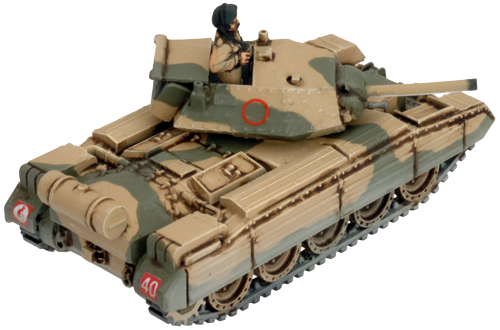 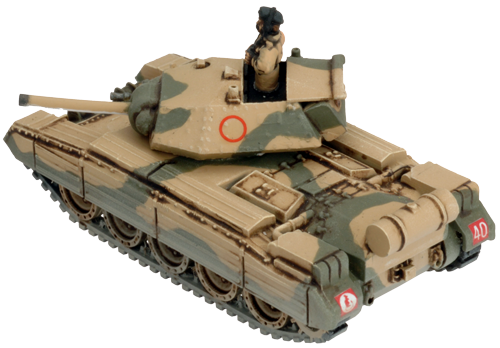 The most numerous British cruiser tank in the Desert War was the Crusader, which entered service in 1941. 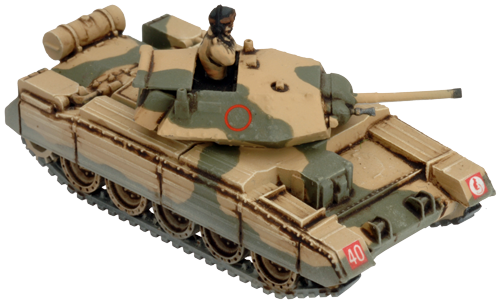 This first model had an auxiliary machine-gun turret in front of the hull. 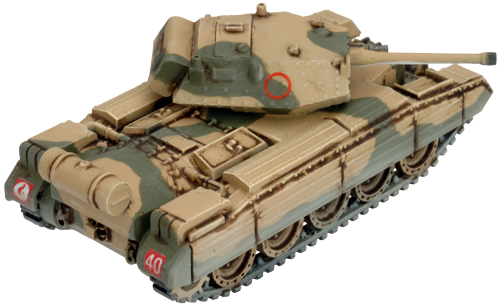 This was quickly discarded, and slightly thicker armour was added. 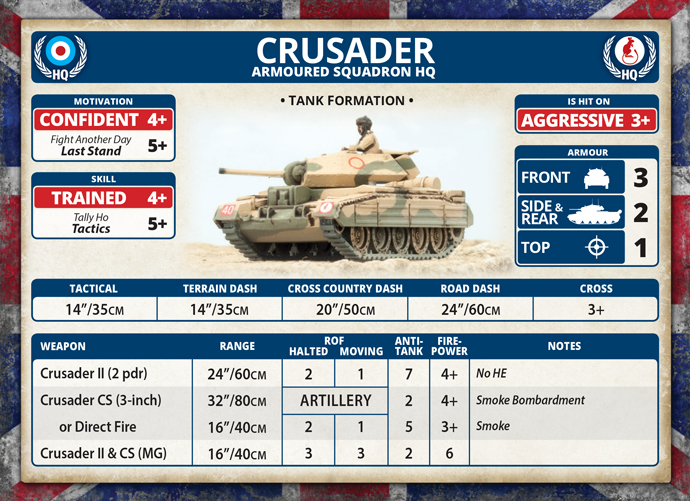 The Crusader's 2 pdr gun was effective against the lightly-armoured Italian tanks, but when the German panzers arrived it was a different story. 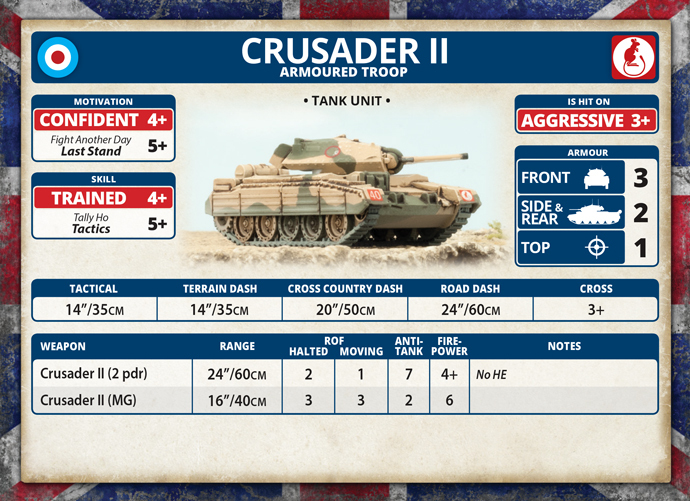 The Crusader crews would have to use speed and manoeuvre to survive against the larger guns of the panzers. 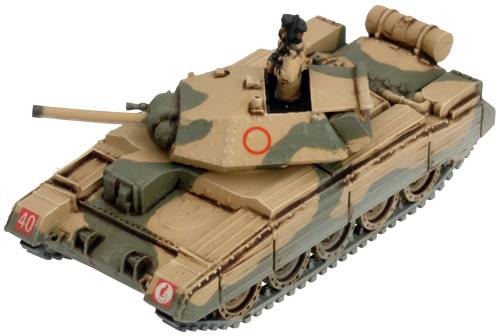 The Crusader III entered service in time for the Second Battle of El Alamein. 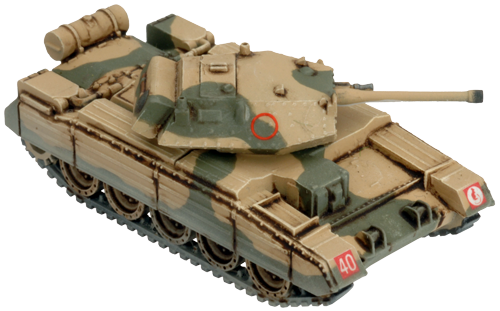 It was up-gunned with the powerful new 6 pdr gun, which packed a decent punch. 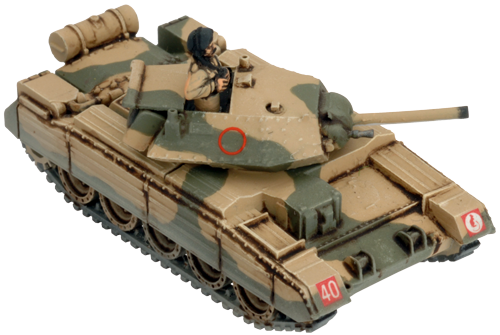 The larger gun, along with ammunition storage and extra ventilation for the gun fumes, didn't leave enough space in the turret for three men, so the commander also had to act as the loader. 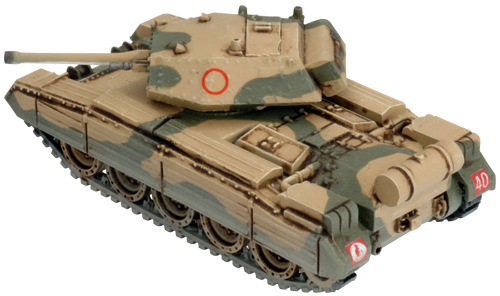 Making up for the 2 pdr's lack of HE (high explosive) ammunition, the Crusader II CS (Close Support) tank carried a 3-inch (76.2mm) howitzer which could fire high-explosive shells as well as smoke. 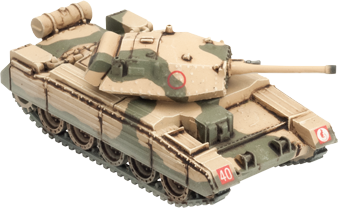 The Crusader II CS has a shorter, thicker gun barrel than the Crusader II, otherwise, they are visually identical.